Fundraising can be tough, whether you’re doing it for a charity, a particular event, or any number of other reasons. It generally involves making hundreds of calls trying to raise awareness for your cause, or attempting to think of marketing methods whilst on a tight budget. 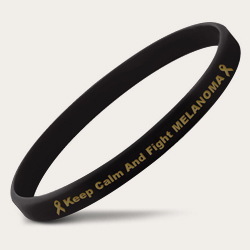 Our excellent fundraising wristbands provide a cheap, convenient, and versatile option that’s sure to suit your needs. 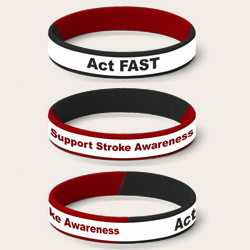 The great thing about our 100% latex-free fundraising bracelets is that they’re fully customizable, so whatever design you desire can be implemented quickly and easily by our skilled team of graphic designers. You’ll have free rein when it comes to the design, and we’ll also work closely with you to achieve an end result you’re perfectly satisfied with. 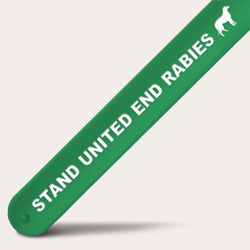 Our quality silicone fundraising wristbands are the perfect solution, no matter how much money you have to spend. Our products are very cheap to produce, especially compared to alternatives such as t-shirts, mugs, etc, meaning your margins will be excellent. There’s also lots of flexibility in terms of order size (no minimum order!) and great offers to take advantage of. Getting your own personalized message on them is easy, and with their durable design and construction they’ll stick around on people's’ wrists for a long time; helping to raise awareness.